A reverend from a Detroit church was charged this morning with repeatedly molesting an underage boy. 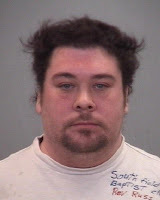 Russell Walter Schaller was arraigned on six counts of third-degree criminal sexual conduct. Twenty-sixth District Judge Raymond Charron ordered the 35-year-old River Rouge man held in the Wayne County Jail on a $100,000 cash bond. Schaller is the senior pastor at Greater St Johns Missionary Baptist Church in Detroit. A message seeking comment from church officials was not immediately returned. River Rouge Police Chief Robert Alderman said Schaller befriended the boy over the last year or two. The sexual assaults occurred within the past six months at Schaller's house on Cora Street, Alderman said. Schaller has two misdemeanor offenses on his record, but nothing involving children, Alderman said. Now, however, there’s reason to be concerned, the chief said. Anyone with information on the case is asked to call Inspector Jeff Harris at 1-313-842-8704.